Firaxis working with GlassLab to make CivilizationEDU. Civilization developer Firaxis has partnered with GlassLab to create a version of Civ 5 that will be used in North American high schools as a teaching aid. CivilizationEDU will be a different version of the game to the one available for purchase, modified in a way that will give students "the opportunity to think critically and create historical events, consider and evaluate the geographical ramifications of their economic and technological decisions, and engage in systems thinking and experiment with the causal/correlative relationships between military, technology, political and socioeconomic development", according to the official description (thanks, Eurogamer). It's unclear whether Ghandi will be as quick to reach for nuclear weapons in this new version of the game. "For the past 25 years, we've found that one of the fun secrets of Civilization is learning while you play. We've always focused on entertainment first, but we believe that our players—young and old—enjoy learning, even if they don't always enjoy education. 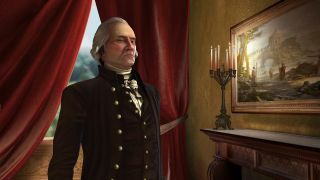 "Civilization players find fun in discovering new civilizations, running into famous historical leaders, and charting their own version of human history. "Along the way, players learn valuable lessons from their success and failures and are able to try again, employing different choices and strategies. We're absolutely thrilled to be partnering with GlassLab and I am excited to see CivilizationEDU in classrooms next year." Will the initiative be introduced outside of North America, if it proves successful there? It's obviously too early to say, but wouldn't that be lovely? In related news, here's national treasure Sean Bean narrating a lengthy trailer for the upcoming Civilization 6.